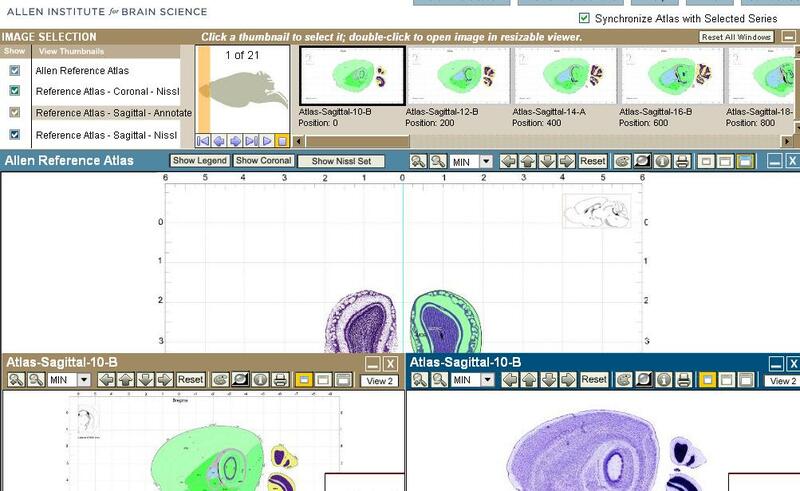 The Allen Brain Atlas (Allen being Paul Allen)has been completed, cataloging over 20,000 genes in the brains of mice. Since it's a little hard to get human brains to experiment with, mice were chosen for their similarity to humans at least in genetic terms. An Excel spreadsheet with all the genes in the ABA database comes to 3.75 MB. 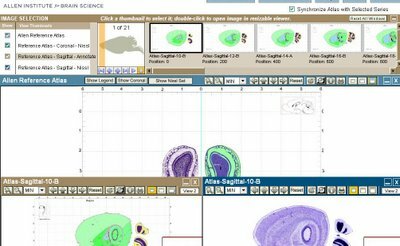 There's also 3D Brain Explorer that lets you look through the different layers of the brain. Very cool. It's a bit hefty though with 200 MB of free space recommended.